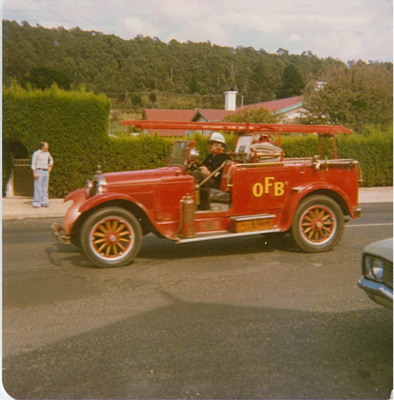 Colour print showing a restored vintage fire engine participating in a parade in Weld Street, Beaconsfield, Tasmania. 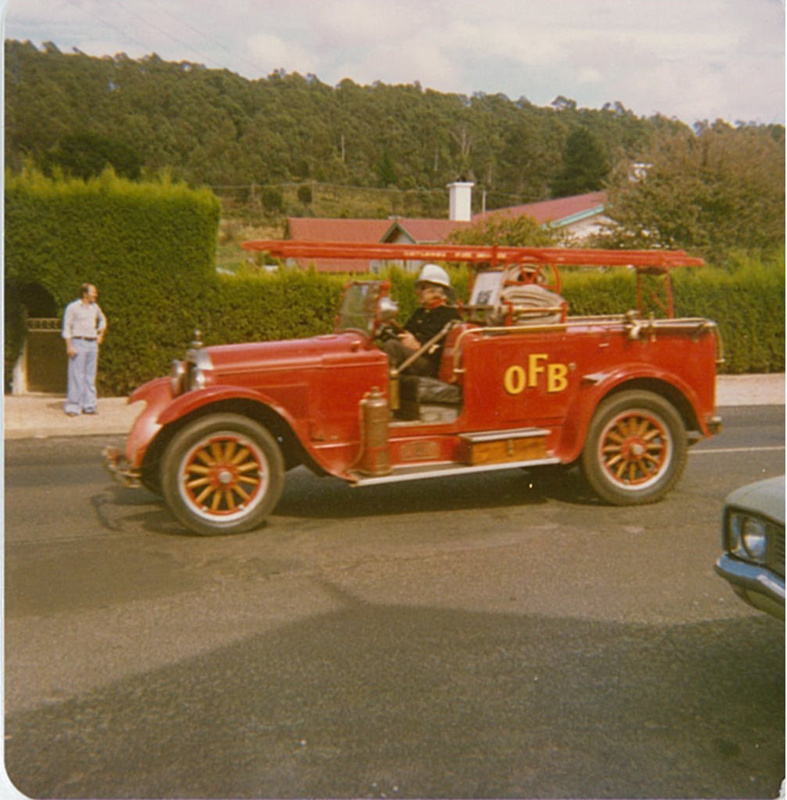 The fire engine has 'OFB' [Oatlands Fire Brigade] painted on the side. A man is standing on the footpath watching. On reverse, handwritten in pen: 'Street parade / B'field / 1974? / 1979'. The latter date has been added later.